Lightweight inflatable costumes bring a character to life. Unique mobile advertising approach that allows flyers or coupons to be handed out wherever your customers might be. Our talented design team can create any character from a photo or description. 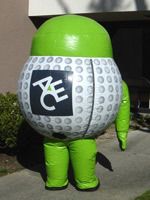 Ingenious design allows the "actor" inside to stay cool and comfortable. 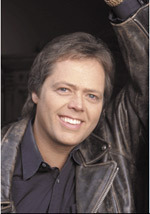 The actor steps into the rubber soled shoes inside, attaches the Velcro straps, turns on a switch and zips up the zipper. Fresh air fills the costume around the person inside. Fresh air is constantly being supplied inside via the backpack fan and battery assembly. 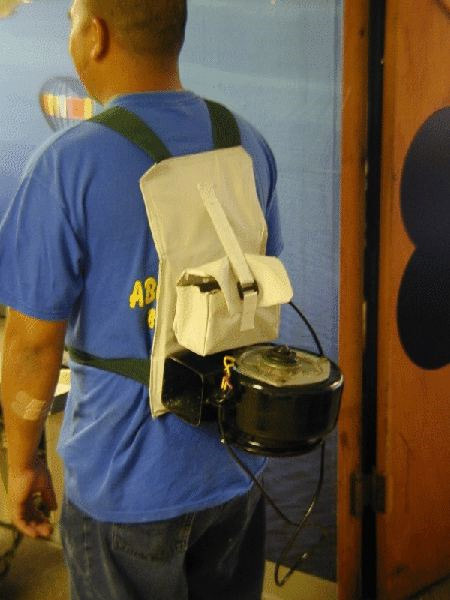 Two 12 volt batteries are supplied so that one can be charging while the other is in use. 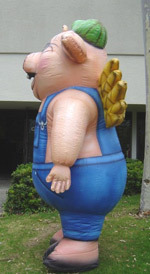 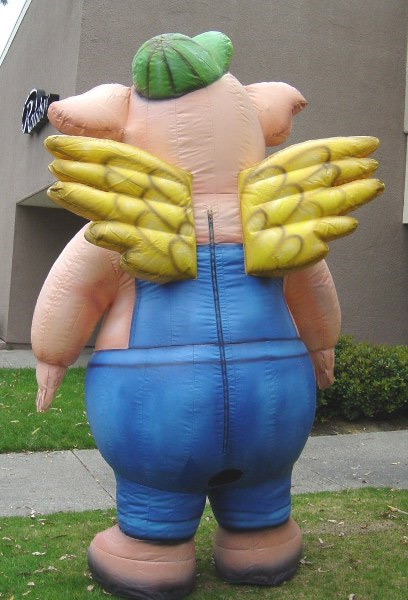 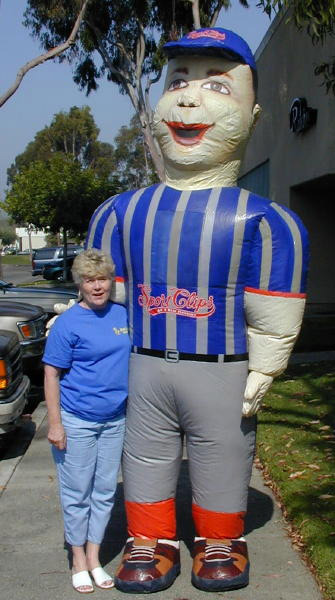 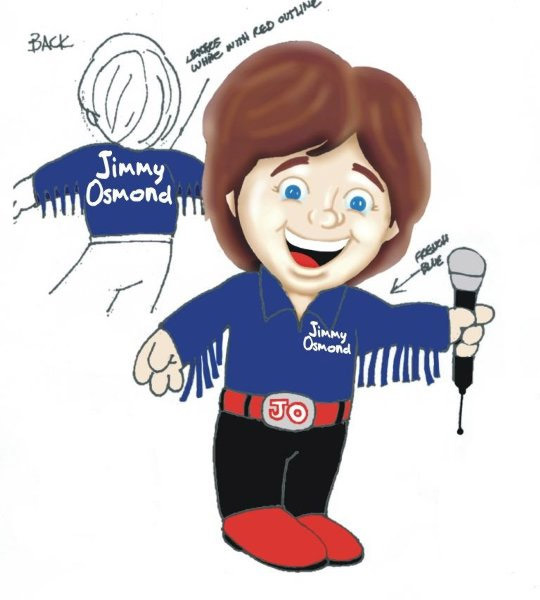 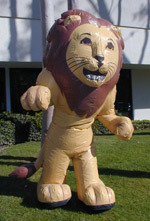 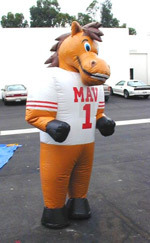 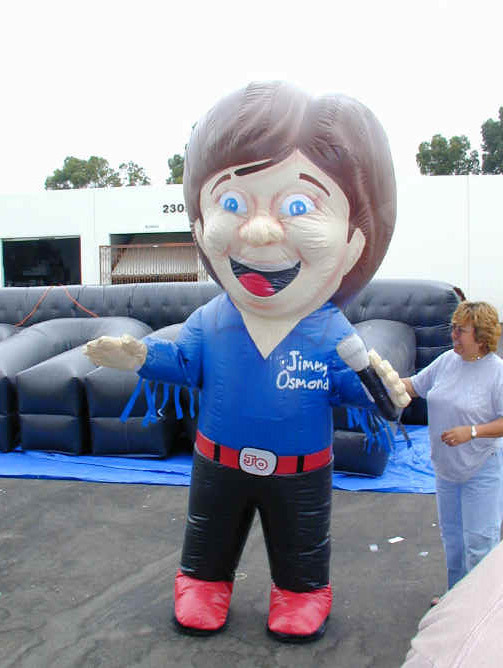 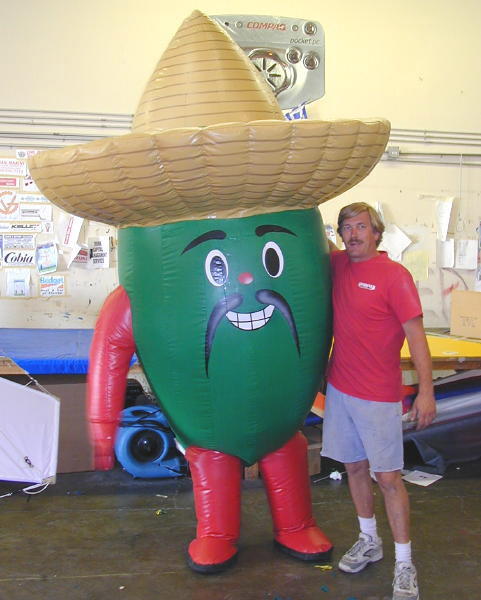 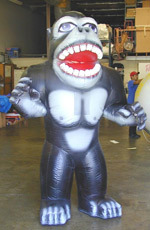 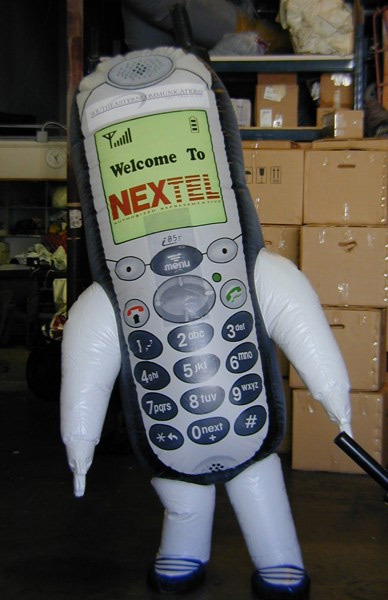 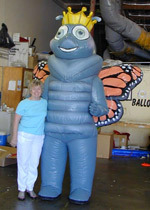 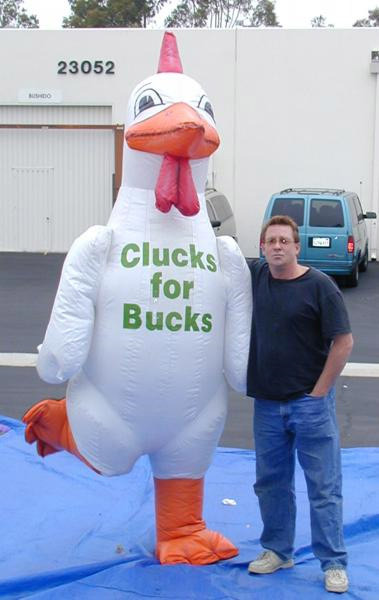 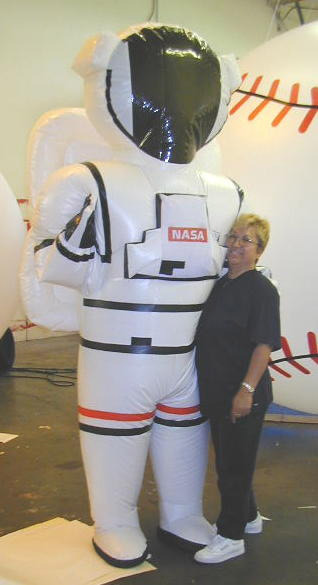 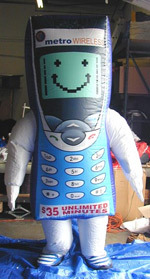 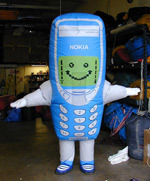 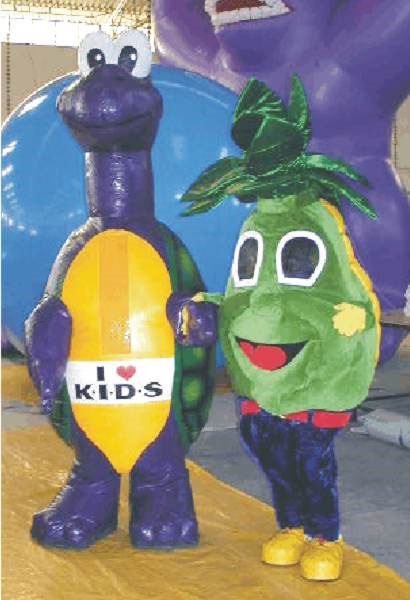 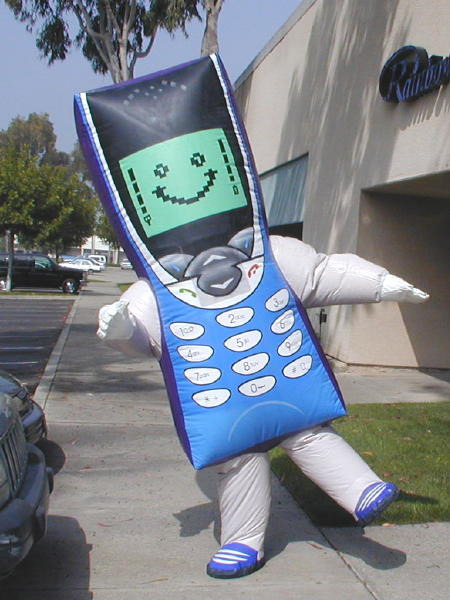 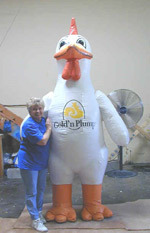 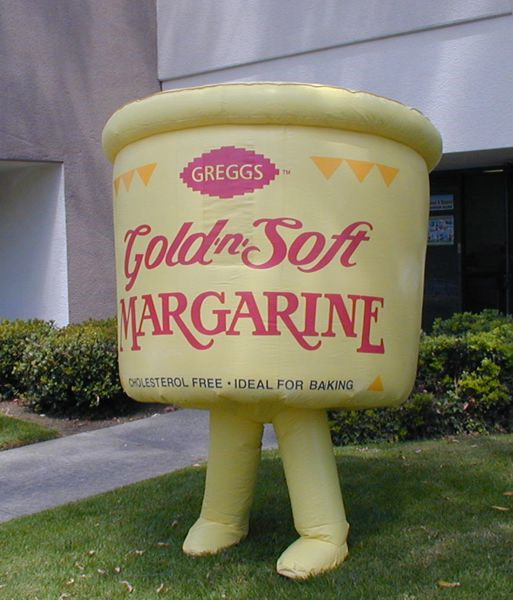 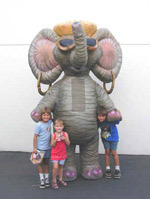 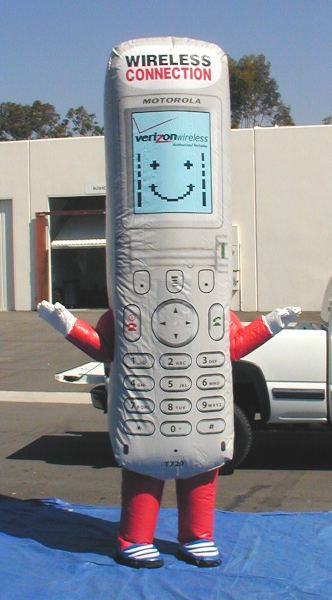 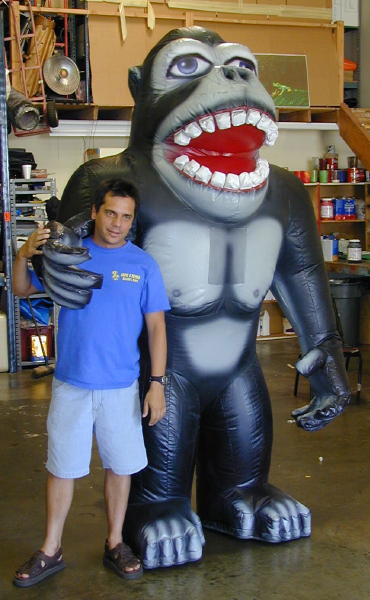 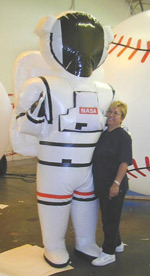 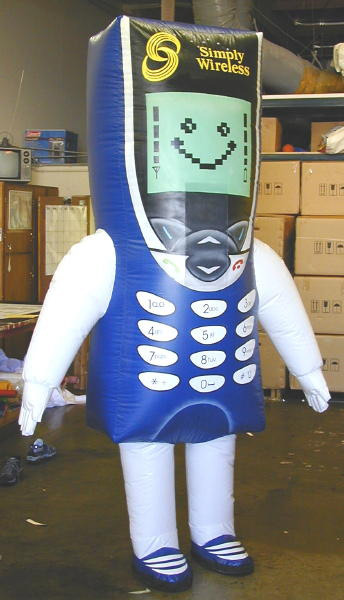 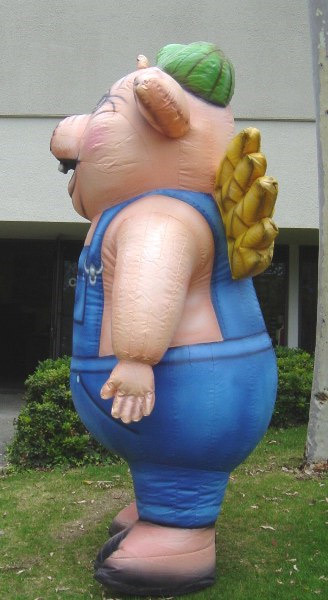 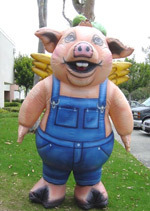 These custom inflatable costumes are a great way to advertise your brand. 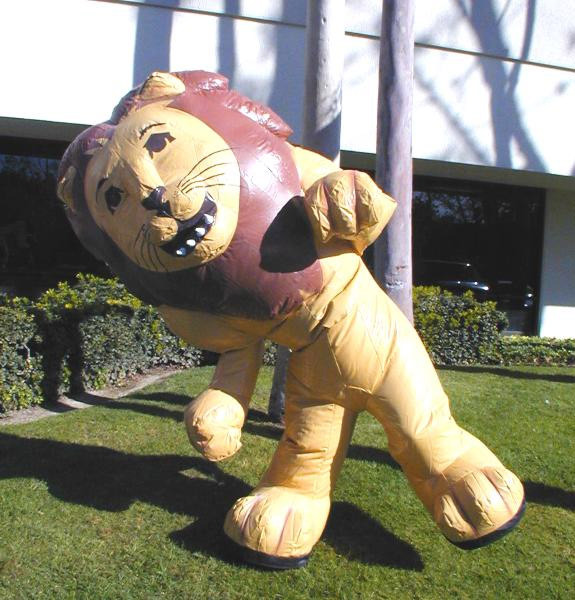 Why pay thousands for short-term print media or billboard advertising when a one-time purchase can deliver great results over and over again? 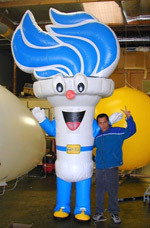 Make a lasting impression by incorporating your logo or mascot into a colorful costume, portable and reusable. These characters appear at tradeshows, sales events and promotions, helping to create a positive image that translates to brand recognition and loyalty. 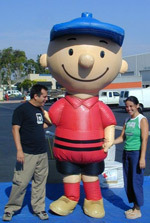 Watch with joy as customers flock to have their picture taken next to your branded character. 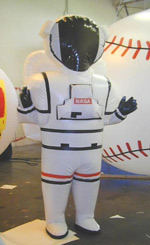 The inflatable costumes are made from PVC material that is manufactured with a UV inhibitor, protecting it from fading. Color is not applied as a coating, but formulated into the material, so the color will never peel or crack. 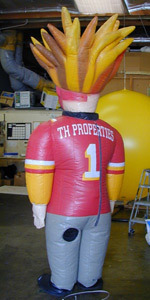 Artwork is digitally applied using a flexible urethane based paint that will not peel or wrinkle. At 18 mil thick, the material is stronger and more durable than most character costumes. See pricing chart below. It is clear from the gallery of examples shown on this page that our design team will take on any project, large or small. 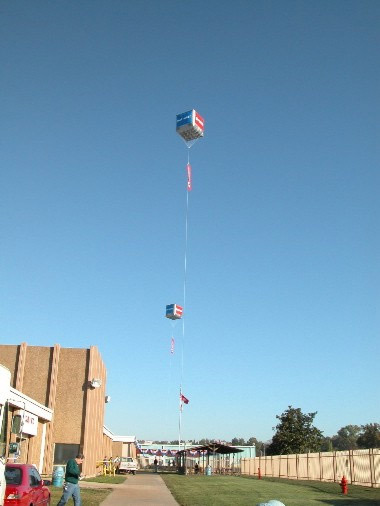 Each inflatable costume is shipped as a complete kit. Please e-mail us with your design for a quote.